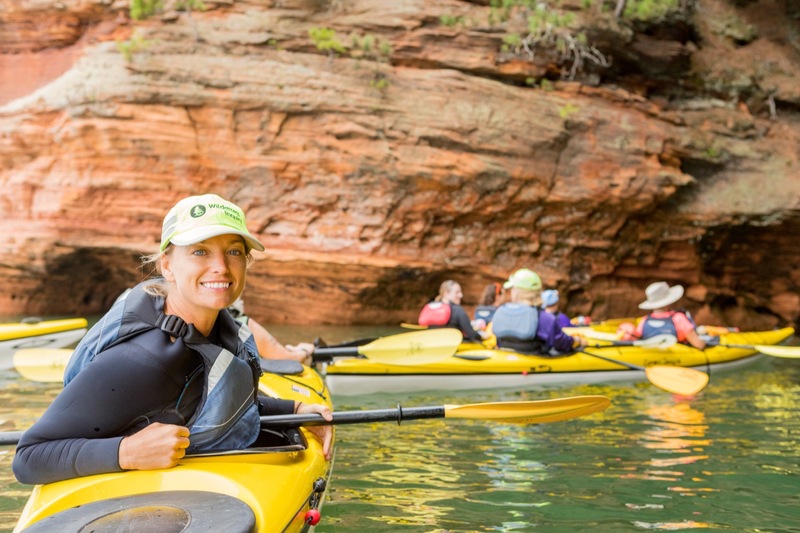 Join us on a kayak tour of the Apostle Islands National Lakeshore. Experience a series of sea kayaking and hiking day trips from our Little Sand Bay Base Camp, including beautiful Sand Island, the Mawikwe Sea Caves, Bark Bay Slough, or the shipwrecks of Red Cliff Bay. 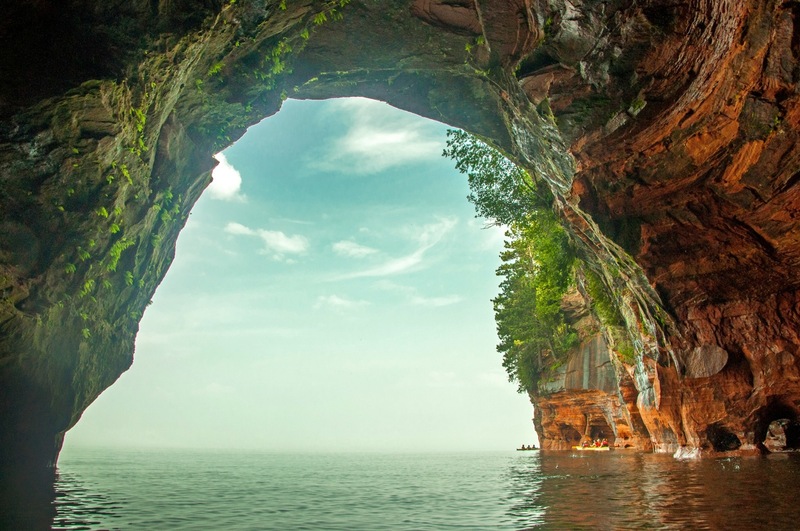 So many day trip options await you on this popular Apostle Islands offering just north of Bayfield, Wisconsin. 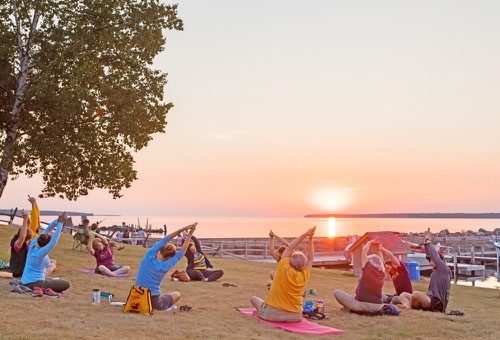 Enjoy delicious food, experience breathtaking sunsets over Lake Superior, and listen to waves crash along the shore. 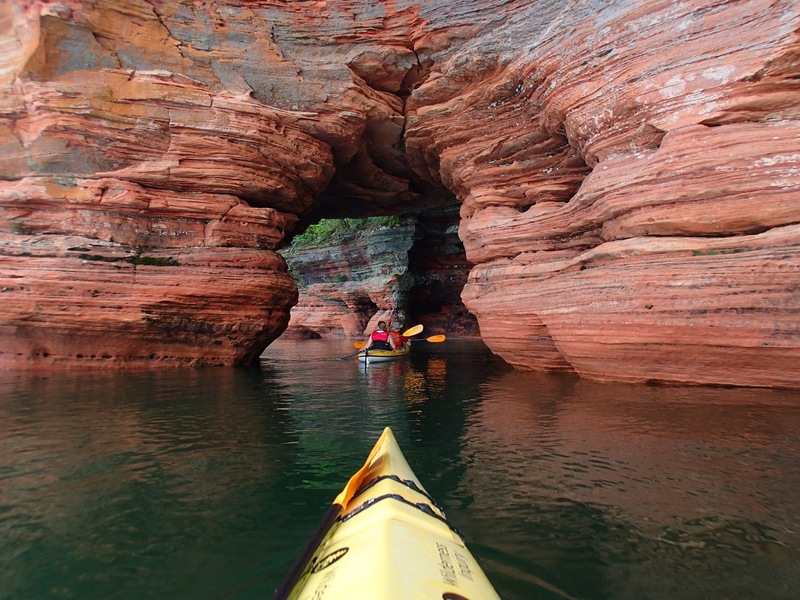 The Apostle Islands National Lake Shore is great for beginning sea kayakers and seasoned paddlers alike. Day 1: Welcome to WI's beautiful base camp at Little Sand Bay. In the afternoon meet at our beautiful base camp at Little Sand Bay. 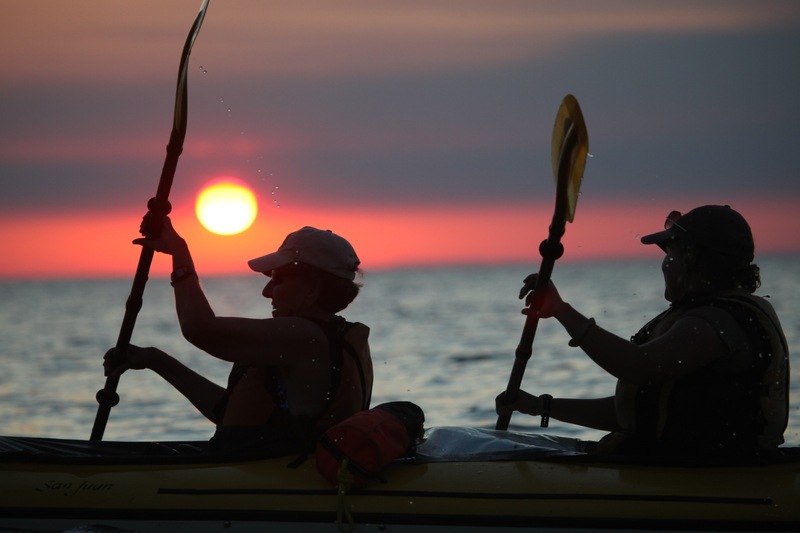 Share introductions, review personal gear, participate in a sea kayaking orientation, and get to know your trip mates. 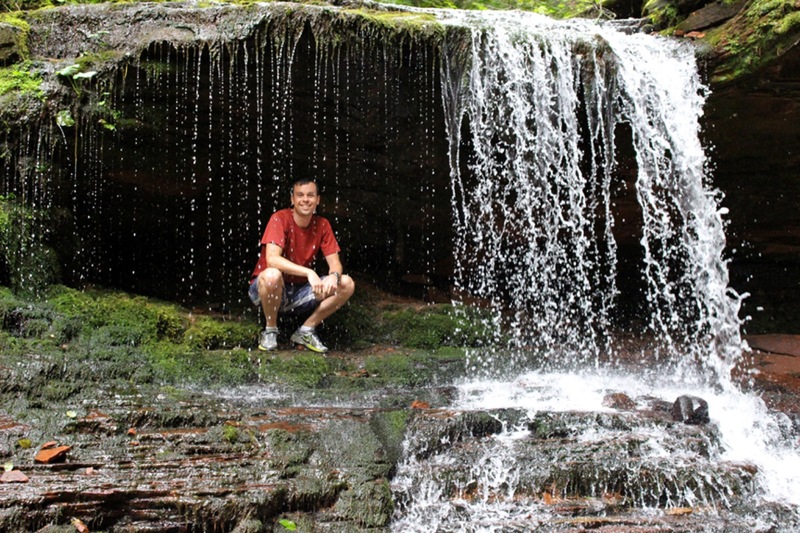 Learn about the Lake Superior "Cedar - Hemlock" forest unique to this area, and take a hike to School Bus Rock, a huge boulder deposited by the glaciers 10,000 years ago. 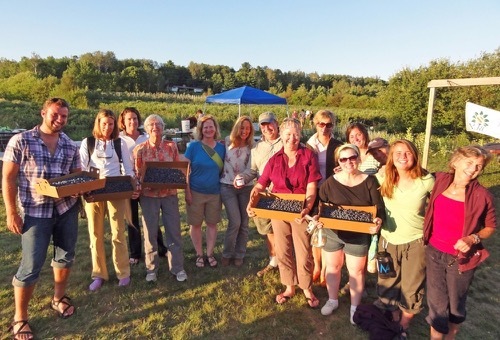 Spend the evening at camp roasting marshmallows over the fire with your new friends. Day 2: Explore the Mawikwe Bay Sea Caves by day and enjoy a campfire by night. Rise early for a delicious breakfast paired with a steaming cup of coffee. Review paddling skills with your guides and start exploring the area. 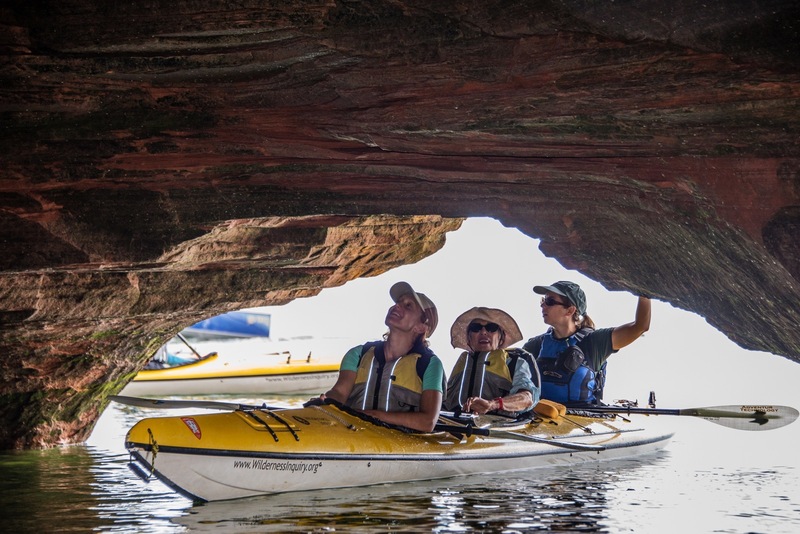 Depending on the weather and wind direction, explore the spectacular Mawikwe Bay Sea Caves or drive to Red Cliff to explore Buffalo Bay and paddle among 19th century shipwrecks. 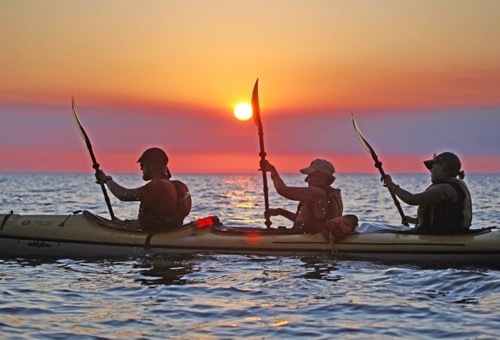 Enjoy a casual paddle back to the beach and head back to base camp for dinner. 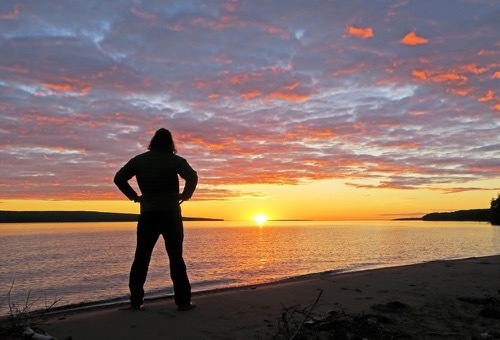 Listen to stories about many of the Lake Superior shipwrecks around the campfire in the evening. Day 3: Paddle a scenic route from Little Sand Bay to Sand Island. 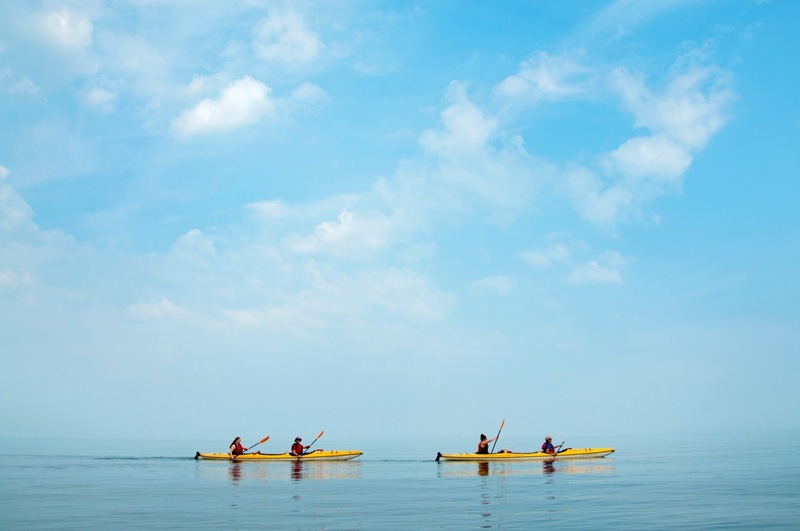 Kayak out to Sand Island to explore the Swallow Point sea caves, Justice Bay, and the historic Sand Island lighthouse on the northeast shore. 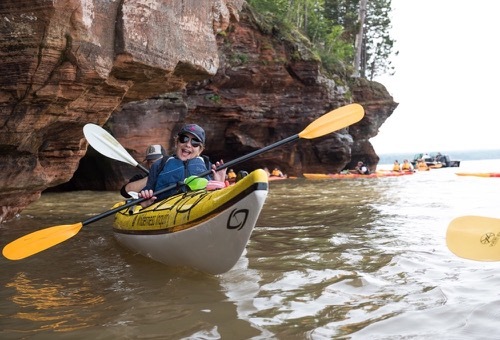 Eat lunch on a remote beach and, weather permitting, kayak in and out of the caves' sculpted rock chambers. Enjoy one last night at our Little Sand Bay Base Camp with hot showers, great food and good company. Day 4: Enjoy one final adventure before saying farewell to your trip mates. After breakfast, partake in one final adventure. Enjoy sharing stories with your trip mates over lunch before your afternoon departure. 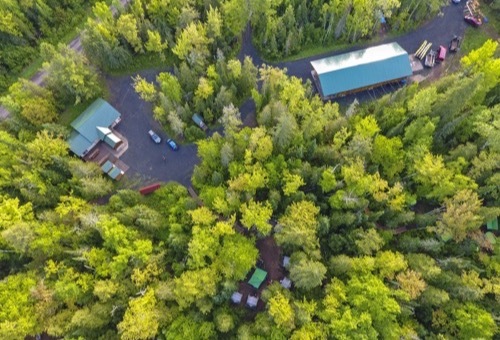 ACCOMMODATIONS: You will enjoy your stay at our Little Sand Bay Base Camp. At night you will sleep on comfortable cots in platform tents. Typically, there are 2-3 people per 4-person platform tent (other arrangements can be made). Our Little Sand Bay Base Camp has very nice bathrooms and shower facilities with hot water. MEALS: We’ll enjoy preparing our meals together in our rustic base camp kitchens using fresh, healthy ingredients for bountiful dishes. Rise to the smell of freshly brewed coffee to enjoy with your breakfast of eggs, oatmeal, or granola. We’ll pack picnic lunches with hearty snacks before heading off to explore. In the evening, we’ll prepare our dinner together over stoves and campfires and then finish with s’mores or a glass of wine. If you have special dietary restrictions, be sure to list them on your registration. TYPE OF TRAVEL/DISTANCE: You will either hike or paddle in Current Design sea kayaks which hold 2 or 3 people plus all necessary gear. An average day’s travel consists of 2-6 paddling and/or hiking hours, depending on weather conditions. Travel distances vary from 4-6 miles each day. No previous sea kayaking experience is needed to complete this trip. 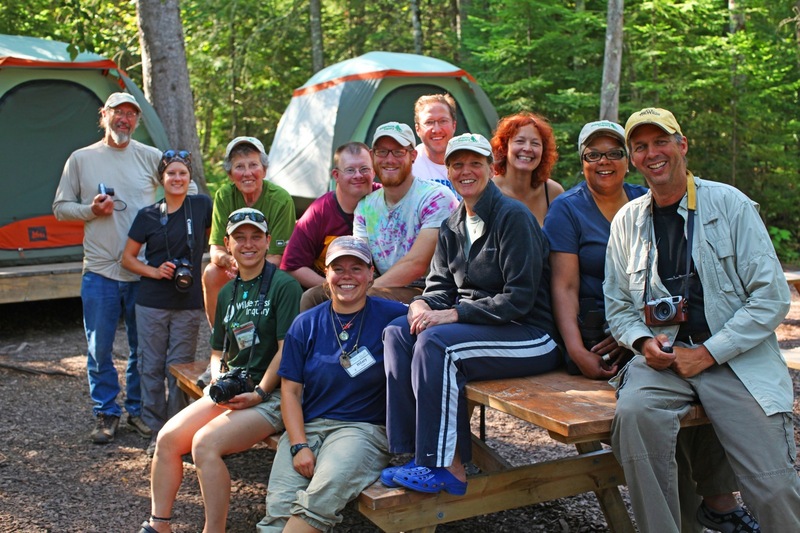 YOUR GROUP: The group size ranges from 10 to 18 participants, plus 2 or more Wilderness Inquiry guides. Each group consists of people of various ages, backgrounds, and abilities, including people with disabilities. 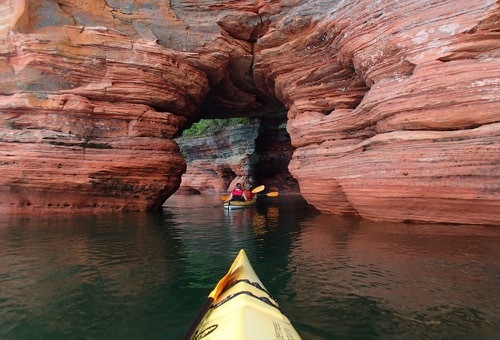 Our Apostle Islands kayak trips are cooperative in nature. WI staff will assist you in whatever areas you need, however, most people pitch in where they can. EQUIPMENT AND CLOTHING: Wilderness Inquiry will provide all group equipment, tents, kayak gear, first aid kits, etc. You will need to provide your personal gear as outlined in the packing list. If you are new to outdoor activities, you do not need to spend a lot of money. Wilderness Inquiry can usually arrange for you to borrow most items. Also, looking into gear rental options can be a cost-effective option. 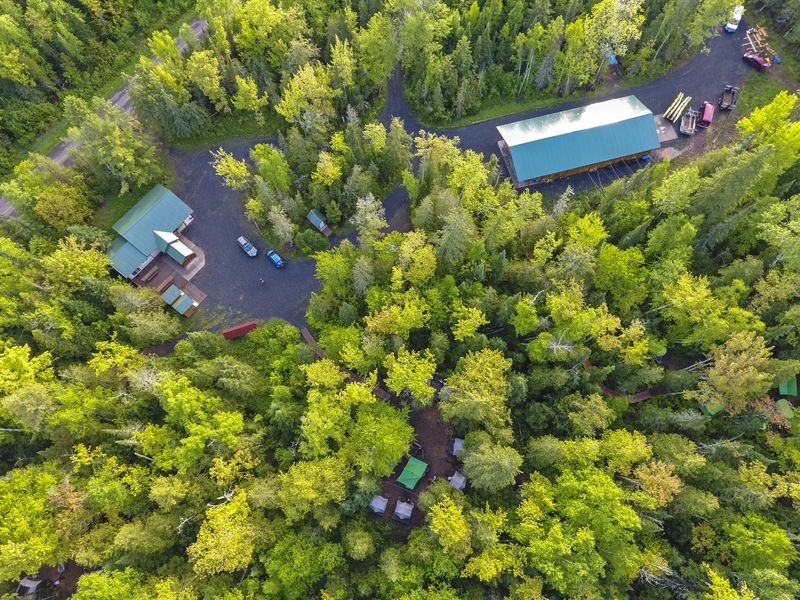 This trip begins at 1:30 PM at our Little Sand Bay Base Camp near Bayfield, WI, where parking is available. This trip ends at Little Sand Bay Base Camp at 1:30 PM. 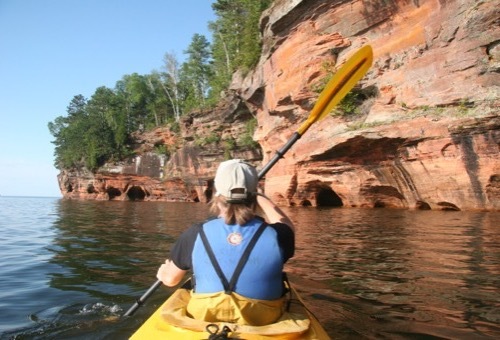 Van transportation between Minneapolis or Duluth and Little Sand Bay is available for most trips. The van leaves from Wilderness Inquiry headquarters in Minneapolis at 7:30 AM and from the Radisson Hotel in Duluth at 10:30 AM. The van returns to the Radisson Hotel in Duluth around 3:30 PM and to Wilderness Inquiry Headquarters in Minneapolis around 6:30 PM. Detailed meeting place directions will be sent to you when you are confirmed for the trip. Another option for transportation between Minneapolis and Duluth is The Skyline Shuttle which runs several times daily. For more information visit: http://www.skylineshuttle.com. Booking a flight? We recommend flying in the night before your trip to Duluth or Minneapolis St. Paul airports, and flying out from Duluth after 5:30 PM and from Minneapolis St. Paul after 9:00 PM. Call us at 612-676-9400 if you have questions. Yes - we believe the opportunity to enjoy the outdoors should be available to everyone. To keep our programs as financially accessible as possible, each year we raise funds to support need-based scholarships. Certain restrictions apply. Financial aid is available for a select number of trips only and typically not available for international trips. Click here to apply for financial aid. This website also shows a list of trips that are currently eligible for financial aid. Check back often, as this list is updated regularly! Call 612-676-9400 for more information. 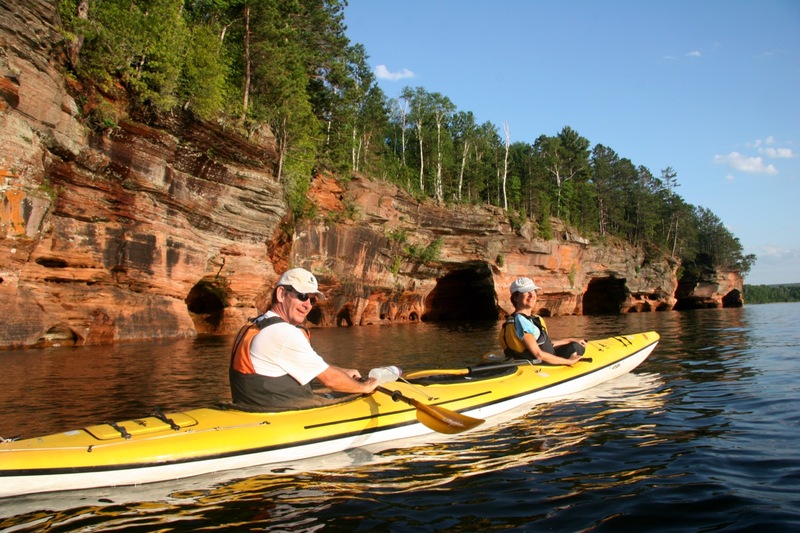 What are our transportation options for the Apostle Islands trip? One option is to take your own vehicle and meet your group at Wilderness Inquiry's Little Sand Bay Base Camp. You can park your vehicle here for the duration of the trip. Another option is to use WI's van transportation, which typically leaves from WI headquarters in Minneapolis early in the morning on the first day of the trip and returns to Minneapolis the evening of the last trip day. There is an additional fee of $75 to use WI's roundtrip van transportation. • 6 weeks prior to start date — we will refund fees paid minus deposit. • Less than 6 weeks — we will refund 50% of the total trip fee, or 100% of fees paid can be transferred to a future trip. • Less than 1 week— no refunds will be issued. • 12 weeks prior to start date— we will refund fees paid minus deposit. • Less than 12 weeks — we will refund 50% of the total trip fee, or 100% of fees paid can be transferred to a future trip. • Less than 2 weeks — no refunds will be issued. In the rare event that WI cancels a trip, or we are unable to serve you, all fees are immediately refunded, including the deposit. Unfortunately, we cannot be responsible for personal expenses such as airline tickets. To protect your investment in your travel plans we recommend purchasing travel insurance. Information on travel insurance is included in your trip confirmation packet. If after registering you wish to switch trips, you may do so subject to availability. Fees may apply. Under certain circumstances, such as death of a family member, change in health status, loss of employment, etc., we may make exceptions to our refund policies. Please let us know immediately if your plans change!